The contest is over. And the winners, chosen randomly, are Bill Norris and Anita E! Congratulations! Please email your mailing address to lhlerman@gmail.com before May 14 to claim your prize. 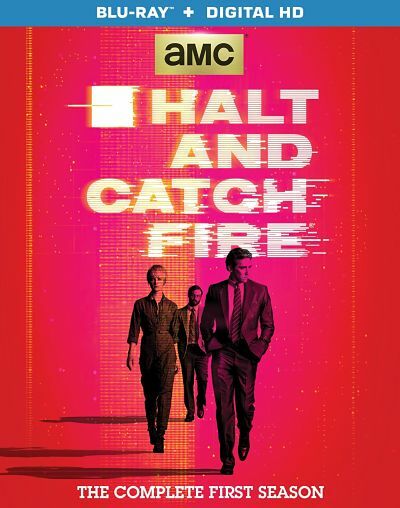 The first season of Halt and Catch Fire, AMC’s original series about the rise of the Personal Computer in Texas’s Silicon Prairie in the early Eighties, arrives on Blu-ray and Digital HD on May 5 and Disc Dish has two Blu-ray editions to give away to a pair of readers! 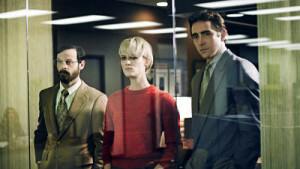 Scoot McNairy, Mackenzie Davis and Lee Pace in Halt and Catch Fire: Season One. Created by Christopher Cantwell and Christopher C. Rogers and starring Lee Pace (Guardians of the Galaxy), Scoot McNairy (Argo), Kerry Bishe (Nice Guy Johnny) and Mackenzie Davis (What If), Halt and Catch Fire focuses on an unlikely trio—a visionary, an engineer and a computer prodigy—and the personal and professional risks they take in the race to build a computer that will change the world as they know it. While charting the changing culture of the Silicon Prairie, tensions build within the group as they attempt to navigate the thin line between genius and delusion, driving to do something that’s genuinely innovative and that truly matters. This giveaway runs through midnight, Tuesday, May 5, and the winners will be at random and announced here on May 6. So, make sure you check back to see if you won! NOTE: The contest is only open to readers who are 18 or older and in the U.S. Prizes cannot be shipped to P.O. boxes! I FOLLOW DISCDISH ON THE WEB. I subscribe to disc dish! I follow Disc Dish on Facebook. Thanks! Thank you DiscDish.com. 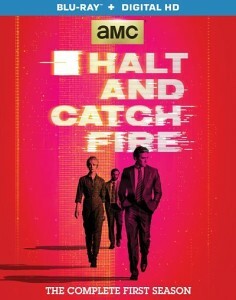 I received my copy of Halt and Catch Fire today. Thanks for the speedy delivery!